Almost everyone uses a search engine when they are on the internet, therefore, search engine optimization is an important aspect of marketing for any business. 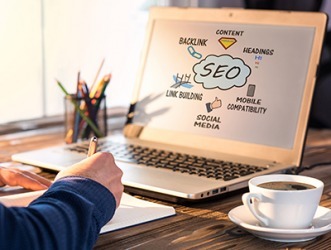 Search engine optimization, or SEO, is defined as a process of designing a website in order to make it more visible and more attractive to search engines so it will rank higher in search results. An example of search engine optimization is when you put content on your website that uses specific keywords so that search engines will point people to your site when they type in those search keywords. "search-engine-optimization." YourDictionary, n.d. Web. 13 April 2019. <https://www.yourdictionary.com/search-engine-optimization>. The use of various techniques to improve a web site's ranking in search engines in the hopes of attracting more visitors. Designing a website so that search engines find the pages easily and index them. The goal is to have a page rank as high up on the results list as possible, or be on the first results page, or at the very least on the second results page. Search engine optimization (SEO) includes the choice of keywords used in the text paragraphs and the placement of those words on the page, both visible and hidden inside meta tags. Keep 'Em Guessing Search engines use different criteria for ranking pages, and those criteria are periodically changed to keep Web page designers from falsely describing their pages and obtaining a permanent, high ranking. This is why an entire industry exists to help website owners obtain high results page ranking. See page ranking, cloaking, shadow domain, meta tag, site map, surface Web, deep Web and social search engine. Carnell's background in print bridging into the digital realm gave him the flexibility to handle the ever-changing landscape of search-engine-optimization and strategic planning.